More information about when, where and how to get the HPV vaccine. Contact your State or Territory health department for more information about HPV vaccination at your school. 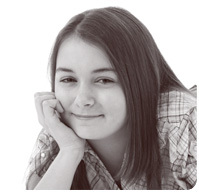 For information about your HPV vaccination record or your child's HPV vaccination record. If you need advice about whether to have the vaccine, or whether to vaccinate your child. More information about HPV, Cervical Screening Tests and cervical cancer. If you have queries or feedback about this website email Cancer Council. Limited promotional materials for this website are available for health professionals – please send an email to the same email address.